Julian Krolik, professor of physics and astronomy in the Zanvyl Krieger School of Arts and Sciences, and his companion researchers used a mixture of supercomputer simulations and old-style hand-written calculations to disclose their results. 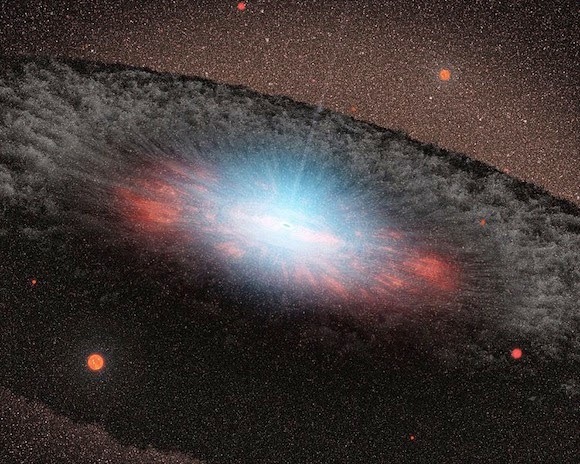 Supported by 40 years of theoretic development, the team presented for the first time that high-energy light release is not only possible, but is an unavoidable result of gas being drawn into a black hole. The group’s work was published in the print version of Astrophysical Journal. His coworkers on the study include Jeremy Schnittman, a research astrophysicist from the NASA Goddard Space Flight Center, and Scott Noble, an assistant research expert from the Center for Computational Relativity and Gravitation at RIT. Schnittman was principal author.